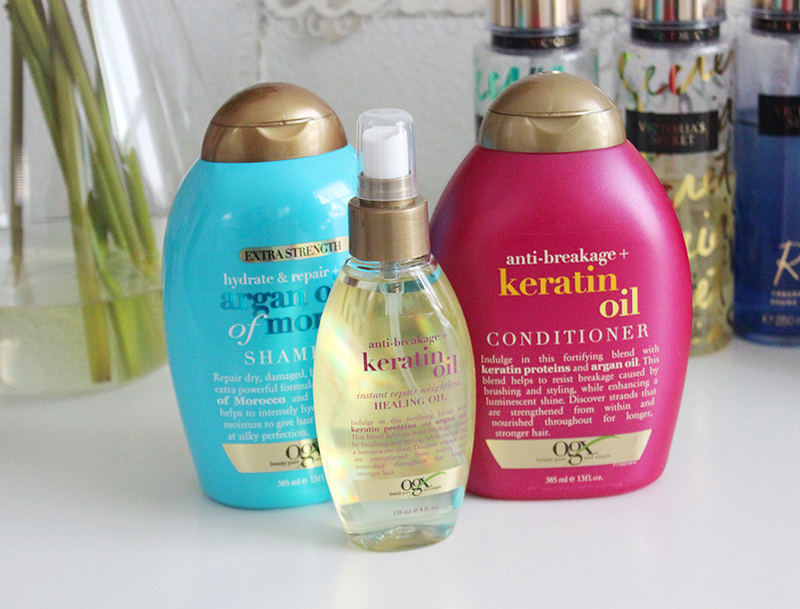 Strengthening & Restoring Damaged Hair with OGX Beauty Keratin & Argan Oil Hair Products! It was quite obvious to me that my hair needed a break from sun after summer, especially since I do have highlights. I've been a huge fan of OGX hair products (check out my other review of their products here) for a while now and I've been looking for moisturizing and overall strengthening hair products that wouldn't weight down my hair. The thing about it is that although I do have thick hair that's on the drier side most of moisturizing products, especially those 2 in 1 cleansers (shampoo + conditioner), leave it pretty lifeless and just heavy, definitely not my favorite. I've been using these three OGX hair products for a week or so now and I really enjoy how they make my hair feel and look afterwards. 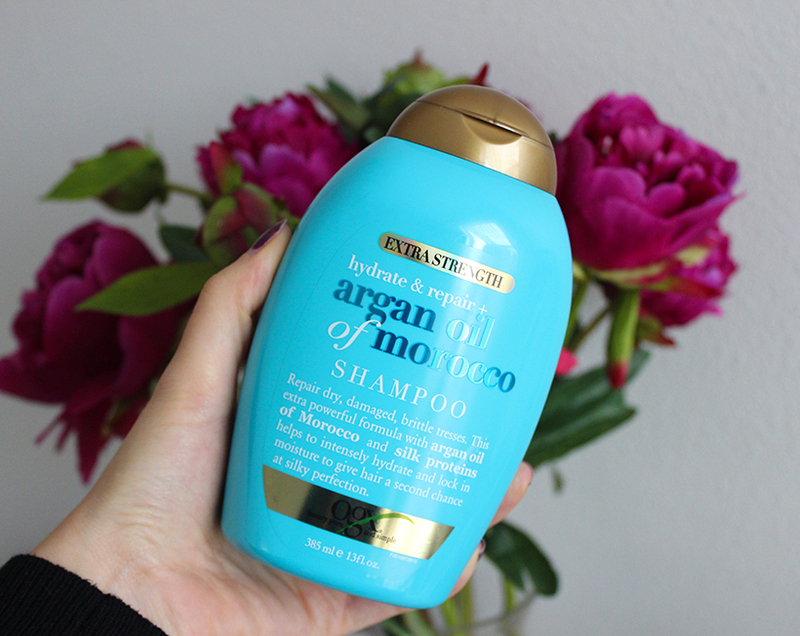 This OGX Argan Oil Of Morocco Shampoo is suppose to restore your hair strength and help lock in moisture. I am sure everyone heard already about argan oil wonderful properties, so I really like how clean and voluminous my hair feel after using it. I also noticed that it didn't dry out my hair and seems to work gentle on my hair but effective, I really like it! 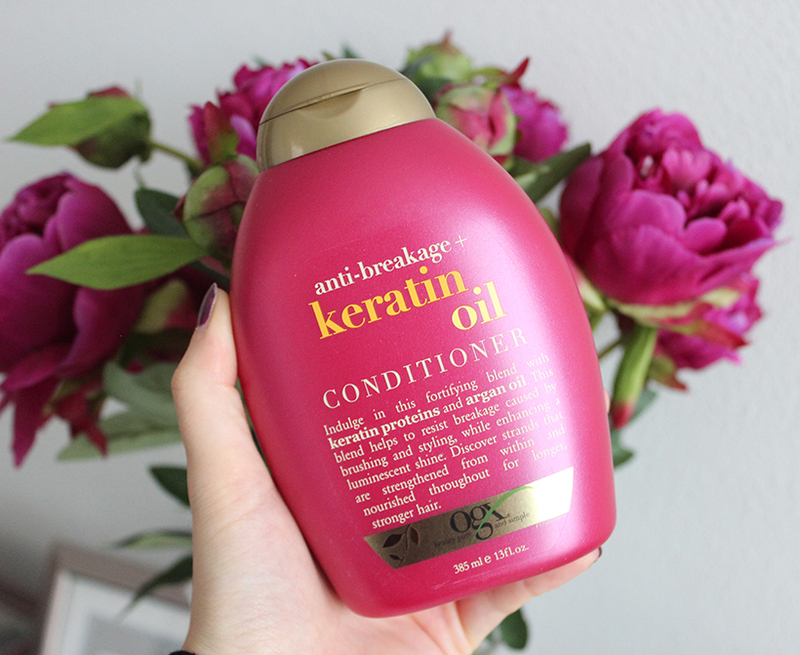 The entire OGX Keratin Oil collection has a pleasant floral scent to it and I really liked how this conditioner didn't weight down my hair and along with Keratin Healing Oil made my hair soft and smooth. OGX Keratin Oil Conditioner also helps restore and strengthen hair after excessive exposure to UV rays and chlorine, so it's definitely a must have if you had been out and about a lot this summer!. 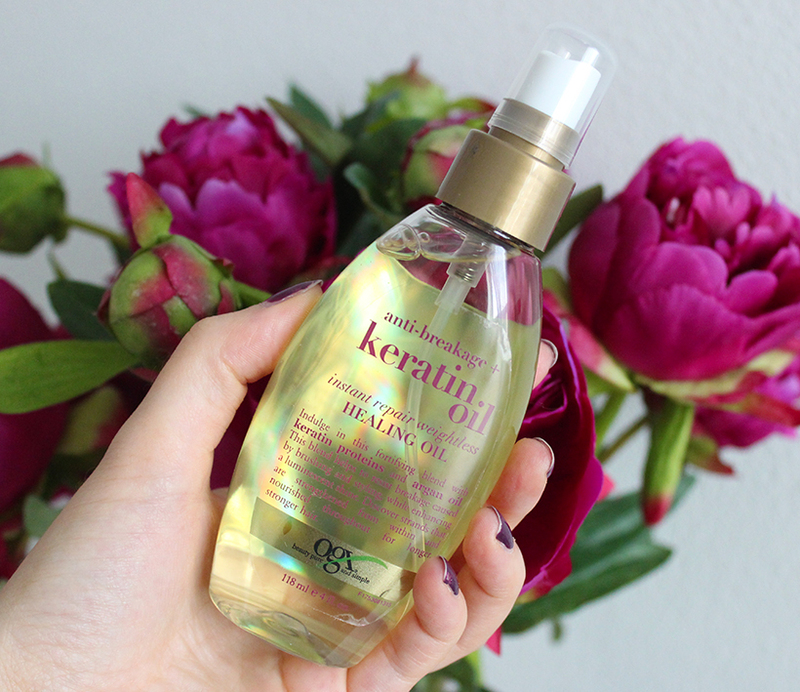 I can't live without my leave in conditioners and this OGX Keratin Oil Healing Oil is just another that I really enjoy using! This one helps prevent breakage and adds a nice glow to my hair without weighing it down. Overall I am very happy with all three products and I will continue using it throughout fall to help restore shine and strengthen my hair before cold winter season! 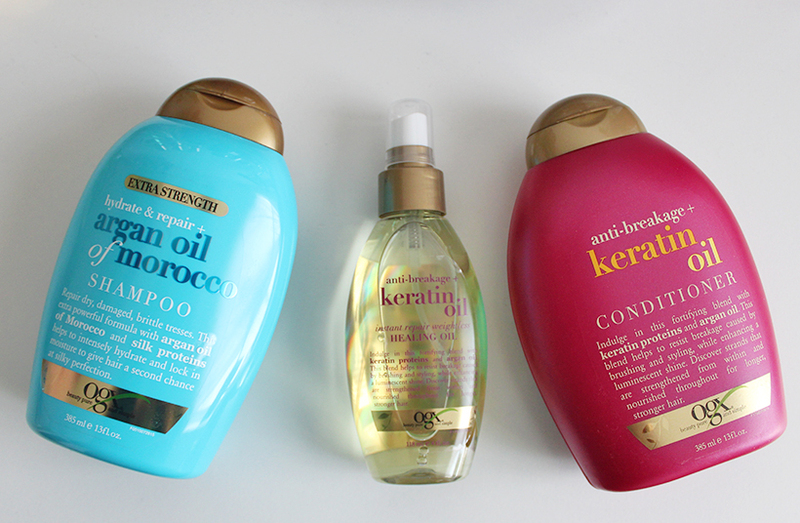 And what are you favorite hair products at the moment?